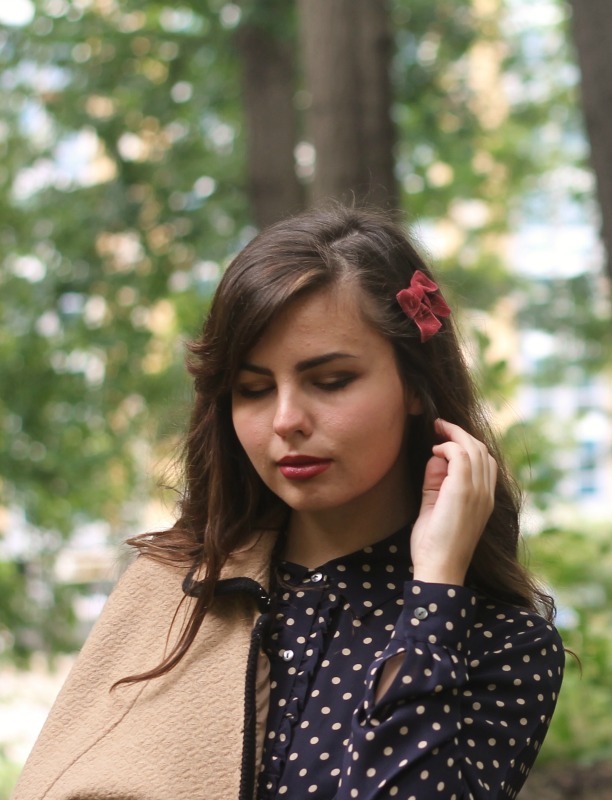 Polka Dot Blouse, Brown Flats: Thrifted. 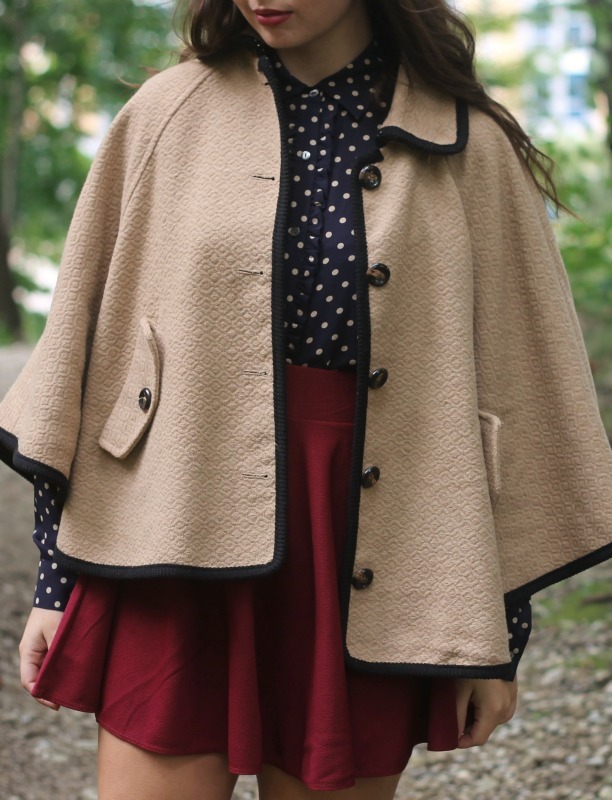 Cape with Black Pipping: Forever21. Before I came to college I knew the one goal I had for myself-- to make friends. I never had a close group of friends in high school, and felt like college was my last chance at establishing a solid group of people who cared for me. Thankfully, I found a great group of guys and gals throughout the year that I could hang out with, confine in, and be myself around. The thought never really occured to me that friendships don't just stop there. In my mind, all I could think about was once I had the friends, I was set for life. I didn't begin to think about the challenges I would face with my friendships coming back for my sophomore year. Friendships always need nurturing, time, and care. I figured that the friends I made last year would just pick up where we left off at the beginning of May like nothing ever happened. 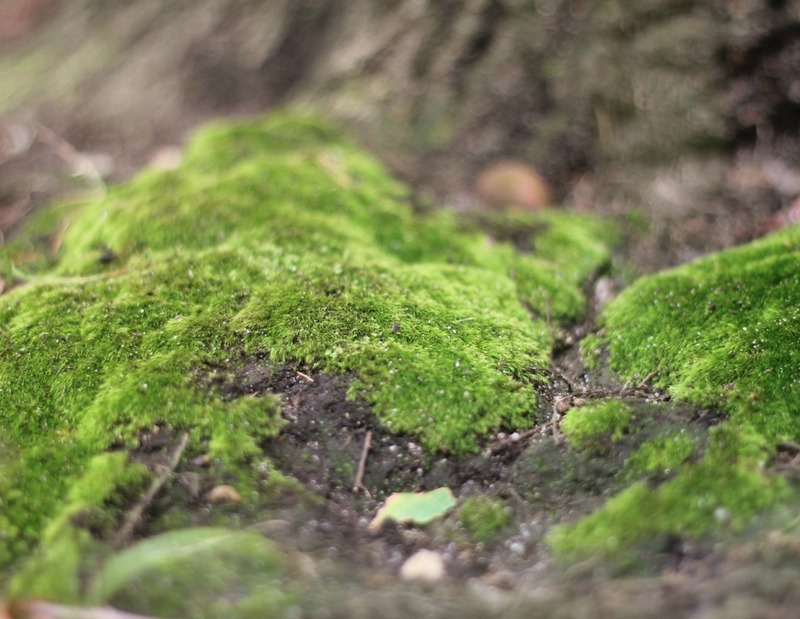 But people and life evolve and it was silly of me to think like that! The biggest challenge I've faced these past few weeks in coming back to school, is maintaining and taking care of my friendships. There seems to be this odd sense of disconnect with myself and everyone that I can't quite put my finger on. Sometimes I think it might be that I go through not socializing for so long, I come back awkward and unsure of myself. It's hard to adjust to the new lives we all have this year instead of the old ones where we met last year. Myself and all of my friends have changed-- different schedules, different majors, different views on life, different living situations. All which cause a strain in what seemed to work so well last year. I think I definitely get hurt too easily when it comes to hanging out, as well. I instantly attribute someone not wanting to hang out or not being able to hang out to myself being the problem. It's been strange, but I've found myself to come back to college with many insecurities that I didn't have last year. I felt like my freshman year I didn't have anything to lose with these people, but this semester I value my friends so much that I am constantly seeking their approval or that they are fond of me. Just some things I've been struggling with and realizing in the past few weeks here. It's definitely taught me and opened my eyes up to seeing, however, that friendships are never 'check, that's done. moving on!' They're a process, and something to be cherished and give your whole heart to. I appreciate much more now my friendships from last year and how they are evolving already this year. Those colors! So cohesive and gorgeous. I love that skirt and cape! Ugh, sorry I get really upset when people just look at the pictures on a blog without reading the often really insightful and intense things that bloggers are sharing on their blogs! But yeah, what you said here is so important. Friendships are totally a process as opposed to an event/one-time thing. I definitely value my friendships more now than I ever have and think it's always worth the sacrifices necessary to maintain and grow them. Best wishes! This outfit is lovely! I really like the cape! I've been wanting one really badly. 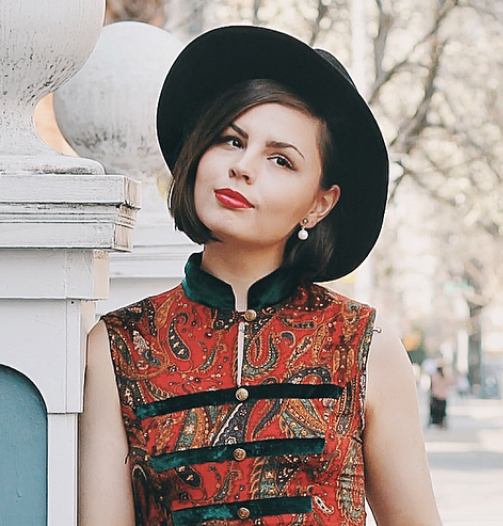 The transition to fall is hitting me quickly and I can't wait for more outfits that are in this kind of color scheme! You look beautiful! Also, you look amazing in this outfit. I love everything about it. 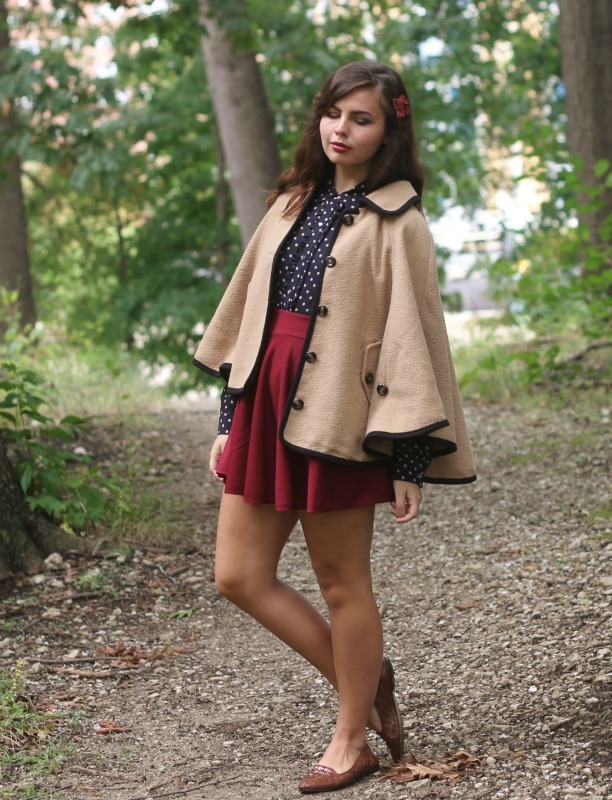 Your little cape is absolutely beautiful and perfect for fall! And as for the friendship situation, I totally understand where you're coming from. It's hard to open up to people and put yourself out there, and realize later in life that you've all changed so much. I've gone through similar situations with friends I thought I was super close to, but I had to realize that new friends would suit me better. I'm sure you'll find your place! I'm loving this outfit! 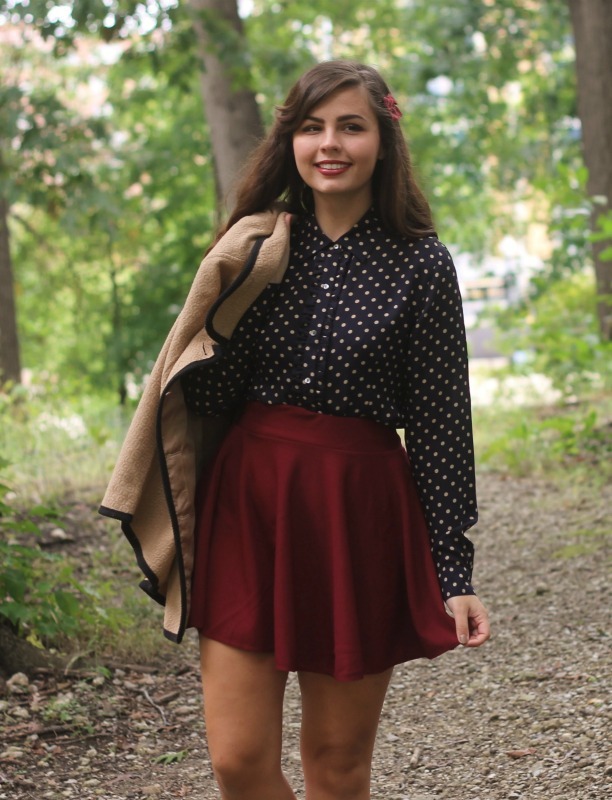 The polka dot shirt with the wine colored skirt is just perfection! Friendship can be tricky, but they are so worth it in the end! I know that I'm struggling now as my friends and I have all moved off campus into different houses. That added with the fact that we are graduating this year has just added a lot of pressure! It's true, friendship grows like a garden! You need to give it time, I'm sure guys will reconnect again! On another note, you look so sweet in this outfit: the colors, the dots and the cape are the cutest! I know what you mean about feeling like you're the reason someone doesn't want to/can't hang out. It's just an insecurity/self doubt thing that is a little tough to get over. I still do it, sometimes but you just have to remember that the people in your life are in it for a good reason....because they enjoy you company! :) By the way...I love love LOVE this color combo and the outfit in general...especially the coat! I promise college is not the last chance you get to make good friends, or even establish new groups :) I've been out of college now for two & a half (!) years and have yet again found myself having made incredible new friendships that quickly grew to be core people in my life!